From the start, our interns – who we call specialists – have been an integral part of Online Optimism. They work 20 – 40 hours per week collaborating with our full-time employees, working for both our clients and Online Optimism itself. In return, we make sure they receive valuable, real-world experience, hourly pay, and the opportunity to team up with the best and brightest in the city. This opportunity isn’t about getting your boss coffee–we have a Keurig (and french press and espresso machine) for that. You’ll spend your time here working on real assignments and projects, participating in client meetings, and teaming up with full-time members as well as working independently. As one of our specialists, you’ll leave us with a complete portfolio of work as well as a killer answer when you’re asked to talk about a time you proved yourself in your next interview. Our company aims to keep our staff happy and facilitate their work any way we can, which is why we provide you with top-of-the-line office equipment, keep our cabinets fully stocked with your favorite snacks, take the whole team to free Friday lunches at local restaurants, and have a casual dress code. We’re also a dog-friendly office–dog preferred, actually. We provide $10 per hour pay to all of our specialists. It’s the highest paid marketing internship you’ll find in New Orleans. For those still in school, we’re also happy to do everything we can to get you college credit. In addition, when your department director attends networking events and educational lunches, we’ll be sending you as well, ticket included. 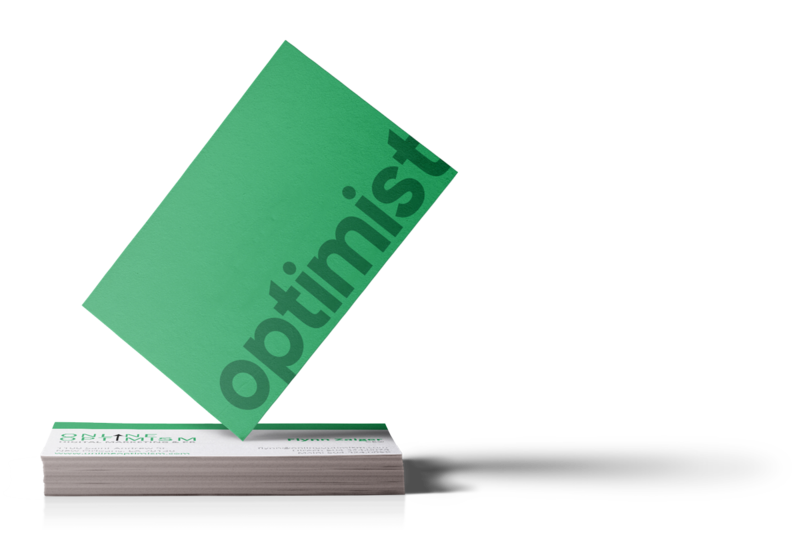 A majority of our full-time team started at Online Optimism as specialists, and many of our specialists go on to work at some of the top digital marketing agencies around. We have multiple Specializations that applications may select from – you do need experience in the department to be accepted. Available Specializations vary by application period. They’re typically from the below options. You have significant experience (and the portfolio to back it up) with a variety of artistic styles. You’re highly skilled with the Adobe Suite, particularly Photoshop and Illustrator. You take criticism well, and stay motivated to perfect designs. You want hands on experience designing for organizations in New Orleans and around the county. Craft Graphics for a variety of businesses online. Work with new digital media like GIFs, cinemagraphs, and animations. Utilize Adobe Photoshop, Illustrator, InDesign, and Aftereffects. You have real-world experience managing social media platforms for organizations or companies. You want hands-on experience with the business side of Facebook, Twitter, LinkedIn, and Instagram. You love building engagement across multiple social media platforms. You’re interested in a career managing social media for professional organizations. You have experience writing for a professional organization with the portfolio/writing samples to prove it. You love writing all day, every day. You’re interested in creating content for a variety of industries. You’ve been told you have an eye for detail, and impeccable grammar. Assist in creative research for long-form content pieces. Craft blog posts drafts for approval. Perform keyword research to determine high-value content opportunities. A nearly infinite amount of writing. You’ve previously helped establish or grow a small/medium sized business in some fashion. You want hands-on experience seeing how digital marketing campaigns are advertised and sold. You love both talking to people, and working with data. You’re interested in a career in sales or business development. Working under our Director of Business Development to help grow our agency. Utilizing Salesforce and Google Analytics to help track leads for Online Optimism. Creating and implementing new business development strategies. Sitting in on actual client discoveries and pitches with New Orleans businesses. You have previous experience with WordPress or Shopify websites. You’re familiar with HTML, CSS, and PHP (or at least 2 out of 3). You love learning new digital languages. You’re interesting in building a stronger WordPress portfolio. Coding in HTML, CSS, PHP, and Shopify’s Liquid. Help craft UX for new WordPress sites. Join client meetings to discuss their new website designs. Assisting in building training manuals for WordPress websites. You have real-world experience working for a business or organization with Google Ads, Google Analytics, or another digital advertising platform. You want hands on experience with Google Ads, YouTube Advertising, Amazon Ads, and Geofencing campaigns. You love working in both creative and data-driven advertising departments. You’re interested in a career working in the $27 billion Google advertising space. Working with our Digital Ads team to test out new platforms. You have previous experience working in SEO for another professional organization. You’re fascinated by search engines and their algorithms. You are both creative, and data-driven. You’re capable of analyzing a website’s code for potential search optimizations. First and foremost, an individual who works hard and wants to be a part of something exceptional. Already graduated, or graduating within the next twelve months, preferably leading to a degree in Marketing, Communications, English, Design, or Statistics. A previous internship, or some other professional experience, related to the department you’re applying for. We’re aware: it can be frustrating to see a company expecting pre-entry-level applicants who are just starting out to already have experience, but our program isn’t marketing 101. You will be hitting the ground running with real work, which means you will have to bring a lot to the table. For this reason, and the opportunities provided by our program, previous specialists include the usual rising seniors, as well as recent graduates and the occasional MBA and MFA. Not a rising senior? Went into work for yourself instead of college and worried about our requirements? If you think you can handle this opportunity, and have something exceptional in your background to make up for the lack of degree, feel free to apply. We absolutely do consider everyone who takes the time to complete our application. Ready to Be a Specialist? Specialist term start and end dates are not exact – we’re open to moving them forward or back a week to better fit a Specialist’s school schedule or prior commitments. If you’d like to be notified when applications open, please submit your information below.